On October 15th, 2002, the membership of the Carlebach Shul endorsed the Board’s decision to appoint Rabbi Naftali Citron as our new rabbi. Rabbi Citron assumed full-time responsibilities immediately following Pesach. Immediately before coming to the Carlebach Shul, Rabbi Citron served as the spiritual leader of the Highland Lakes Shul located in Aventura, Florida. Under his leadership, that synagogue has become one of the more dynamic Orthodox Jewish institutions in the South Florida region. At Highland Lakes, Reb Naftali established numerous classes, events and programs leading to almost a tripling of its membership in four years. Reb Naftali’s approach to Judaism is infused with a joyful spirituality in the service of G-d inspired by the legacy of his late grandfather, Reb Eli Chaim Carlebach, zt”l, and his late great-uncle, Reb Shlomo Carlebach, zt”l. Since assuming the pulpit once held by his grandfather and great-uncle, Reb Naftali has brought an energy level to our shul not felt here in many years. 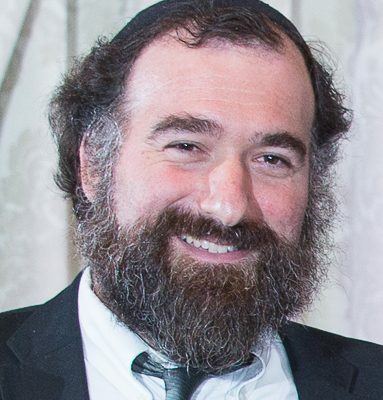 He has also initiated and been the driving force behind several new and exciting programs, such as: The Rosh Chodesh Institute, Torah in the Park, Saturday morning shiurim, and a fabulous community-wide Lag Ba’Omer celebration in Riverside Park. Rabbi Citron received his Rabbinical ordination from Tomchie Tmimim Lubavitch in 1994. Because of the influence of Reb Shlomo, zt”l, he remains committed to openness and diversity in the Jewish community. Reb Naftali has studied extensively the works of the great Chassidic masters as well as the traditional Jewish philosophical works. Click Here to read the Jewish Week’s June 2003 article on Rabbi Naftali Citron.